So I might be a little late to the party, but I finally jumped on the floral kimono train. Better late than never, right? It took me forever to jump on board, but when I stumbled upon this kimono from Gypsy Threads...I fell in love. Colorado is a funny place. It's generally never "hot" here, (at least in my opinion) so it's safe to say that you can generally catch me in some sort of cover-up in tow. Chambray seems to be the usual suspect, as of late, but this kimono was a pleasant change from the norm. Gypsy Threads is full of all things curious and lovely, and their array of scarves, sandals, palazzo pants and headbands (to name a few) definitely keep me coming back for more. They have a little bit of something for everyone and are definitely worth a gander...or two. The kimono is great and so perfect with those shorts! Love everything about this look! Pinned it! love the kimono with the shorts and ankle booties. perfect boho look! Love this floral kimono-the length is perfect & love how you styled this look!! 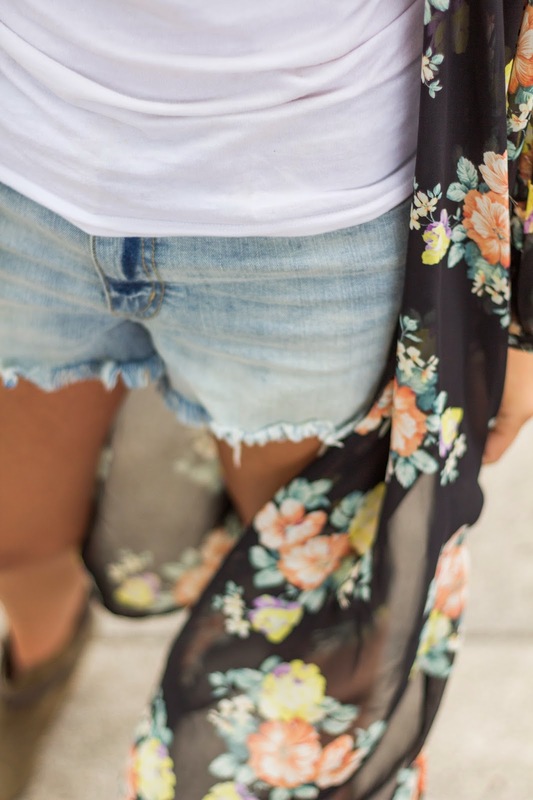 Love this cute outfit - kimonos are great during summer! Oh how I'm falling in love with kimonos!! Yours is fab and you look amazing!! welcome aboard the kimono train! isn't it fun? Totally obsessed with the kimono. I've been looking for one but haven't found the perrrfect one yet and am too nervous to order one online. The sizing has seemed to be a little iffy. Anywho, this is one of my favorite looks from you, lady! Adorable. Love this little boho look, you look too cute! I recently bought my first kimono (I'll actually be featuring that look on my blog tomorrow!) but I love the way you styled yours! Popping over from the UK and from #allaboutyou. this is a super cute outfit, and so wearable! i have yet to try a kimono (super late on the bandwagon), but if i find the right one, i definitely would give it a shot!